Jamie Murray and American Bethanie Mattek-Sands beat Romanian Mihaela Buzarnescu and Austrian Oliver Marach in the Australian Open mixed doubles. The US Open champions will face France’s Kristina Mladenovic and Swede Robert Lindstedt in the second round after the fourth seeds retired at 4-1. Mladenovic and Lindstedt beat Briton Dominic Inglot and Sweden’s Johanna Larsson 6-2 6-2 in the first round. Briton Neal Skupski and Spain’s Maria Jose Martinez Sanchez also progressed. The pair beat Slovenian Katarina Srebotnik and Croatian Franko Skugor 6-3 6-3. Roger Federer announced that he will play on clay in 2019 after losing to Stefanos Tsitsipas in the fourth round of the Australian Open on Sunday evening. The Swiss’ last match on the surface came at the 2016 Internazionali BNL d’Italia. Federer did not compete on clay in 2017-18 to give his body a break ahead of the grass season. According to the FedEx ATP Performance Zone, the 37-year-old ranks third among active players (behind Nadal and Djokovic) in winning percentage on clay at 75.9 per cent. The 2009 Roland Garros champion and four-time finalist may have surprised some with his decision. 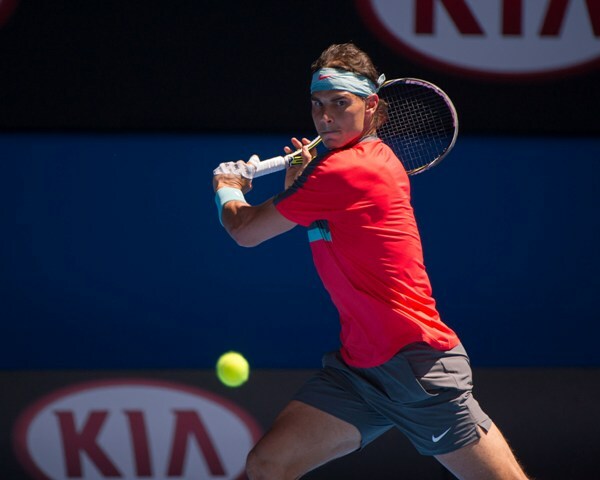 But for the Swiss, his rationale is simple, and it has to do with his love for the sport. “I’m in a phase where I want to have fun,” he said. Watch highlights as the 20-year-old 14th seed from Greece Stefanos Tsitsipas beats defending champion Roger Federer in the last 16 of the Australian Open in Melbourne. In pursuit of his dream to become Greece’s first Grand Slam singles champion, Stefanos Tsitsipas was glued to his computer screen. Watching YouTube footage of his idol Roger Federer was one method he chose as he sought to become one of the world’s best players. His favoured match? The then-teenager Federer’s victory over the great Pete Sampras at Wimbledon in 2001. So it is quite apt that Tsitsipas’ fourth-round triumph at the Australian Open is – like Federer’s landmark win – being hailed as a ‘changing of the guard’ moment. A similar age, a similar ranking and, as Federer mentioned afterwards, similar hair. Tsitsipas’s rise up the rankings transferred into trophies when he won his first ATP Tour title at the Stockholm Open last October, bettering that – and garnering more attention across the world – with victory in the NextGen Finals in December. His 6-7 (11-13) 7-6 (7-3) 7-5 7-6 (7-5) victory over Federer is the biggest sign of what he is capable of, and he could climb into the world’s top 10 if he makes it past Spain’s Roberto Bautista Agut in his quarter-final. Greek journalist Vicky Georgatou, who first met him as a teenager, said he was always destined for the top. “When I first saw him play, I knew he would do something big,” Georgatou told BBC Sport. 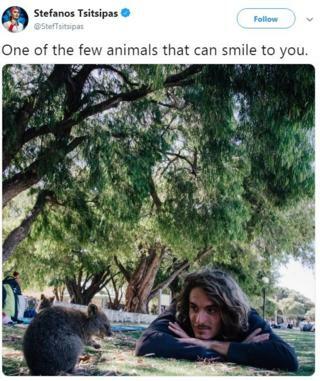 A playing style described as “old-school”, his own travel vlog, a love of photography, a flowing mane of hair… Tsitsipas has been one of the most talked about young talents on the ATP Tour – even before Sunday’s victory over Federer. After his third-round win over Georgia’s Nikoloz Basilashvili, Tsitsipas admitted he did not have many friends in the locker room. Georgatou, who works for Greek sports website SDNA, says that being what some might term a “loner” is nothing new for Tsitsipas. Winning trophies and being ranked among the world’s best players has already seen Tsitsipas attract fervent support here in Melbourne – a city known for its large Greek community. Against Federer, fans were largely congregated outside Rod Laver Arena, watching and cheering the action on the big screen. The 30-year-old Spaniard defeated last year’s runner-up Marin Cilic 6-7(6), 6-3, 6-2, 4-6, 6-4, after three hours and 58 minutes, to record his second victory in six FedEx ATP Head2Head meetings against the Croatian. Unbeaten in 2019, Bautista Agut joins Alex de Minaur at the top of the list for most tour-level match wins this year (9). In the opening week of the 2019 season, Bautista Agut claimed his ninth ATP Tour title at the Qatar ExxonMobil Open, beating Stan Wawrinka, Novak Djokovic and Tomas Berdych in consecutive matches to lift the trophy. Bautista Agut also needed five sets to beat Andy Murray and John Millman in the opening two rounds in Melbourne, before defeating 10th seed Karen Khachanov in straight sets. The 22nd seed will meet two-time defending champion Roger Federer or #NextGenATP Greek Stefanos Tsitsipas for a place in the semi-finals. Bautista Agut is yet to beat Federer in eight FedEx ATP Head2Head meetings and has never faced Tsitsipas at tour-level. 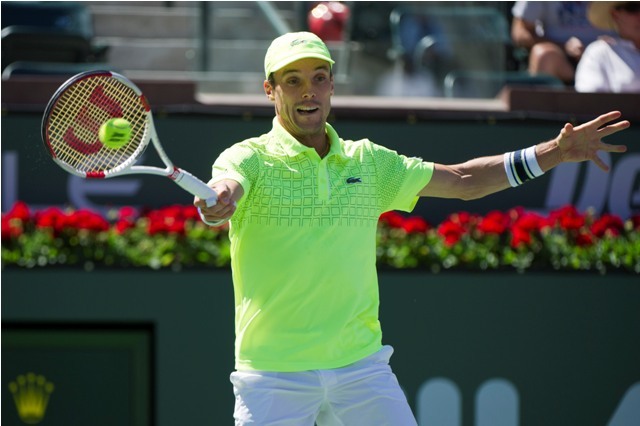 But it was to be Bautista Agut’s day, as the Spaniard benefitted from two double faults in the ninth game of the decider before breaking serve with a forehand winner. The Doha champion then served out the match to 15 after rushing Cilic into a backhand error.